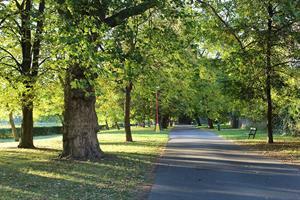 The Make Parks a Priority campaign was launched by Horticulture Week in 2012. It called for a fresh Parliamentary inquiry into urban parks to address disproportionate cuts to maintenance budgets threatening a return to the spiral of decline of the 1980s. The campaign led to the formation of the cross-sector Parks Alliance which has continued to push for greater recognition of the challenges facing parks, alongside parks supporters such as the Heritage Lottery Fund. On July 11th 2016 the fruits of all these efforts saw the Community and Local Government committee announce the launch of an inquiry into public parks examining the impact of park budget cuts. The Communities and Local Government (CLG) Committee is launching an inquiry into public parks to examine the impact of reduced local authority parks budgets and consider concerns that their existence is under threat. Make Parks a Priority: Urge your MP today to back calls for an inquiry into the parks funding crisis! Listen to speeches made by Horticulture Week editor Kate Lowe and Director of London Parks and Greenspace Agency, Tony Leach at the campaign launch in June. Introductions by Baroness Fookes.